MAINSTREAM MEDIA EXECUTIVES AT NBC, CNN & MSNBC WORKED WITH CLINTON CAMPAIGN ON TIMING OF LEAK?! 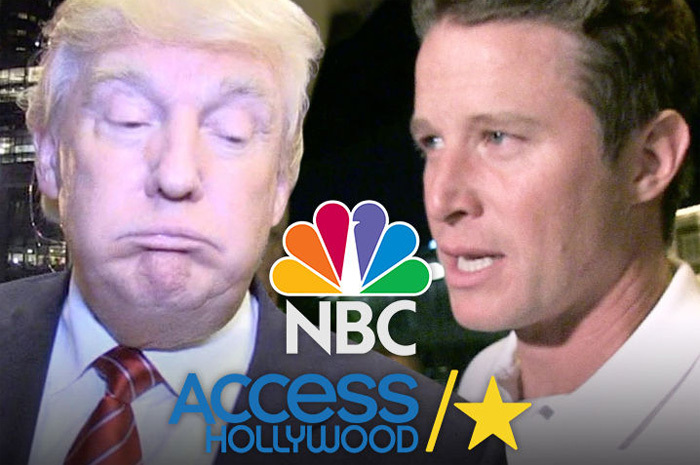 Not that you can not figure this out for yourself, but the Access Hollywood tape that has hurt the Donald J Trump presidential campaign, seems to have been held on to by top executives until just the right moment by the Clinton campaign. A very reliable spy inside the Clinton campaign is telling us that the tape was known about by them for “some time” before it “leaked” via the The Washington Post, and used at just the right moment to provide as much damage as possible. Either way, sometimes we wish we were in the business of reporting on politics, as this sh*t is getting so good, and you never know what is going to happen next! Wikileaks has also been getting in on the poop throwing as well, by publishing very damaging hacked email correspondences against Hillary Clinton on a daily basis now, and is the only reason many say that Trump still has a chance. Previous articleGUN CONTROL ADVOCATE KIM KARDASHIAN GOES ALL IN WITH MASSIVE ARMED SECURITY FORCE AFTER FRANCE ROBBERY SCARE! Next articleTIGER WOODS DONE WITH PLAYING GOLF COMPETITIVELY FOREVER DUE TO HIS MENTAL FITNESS? !